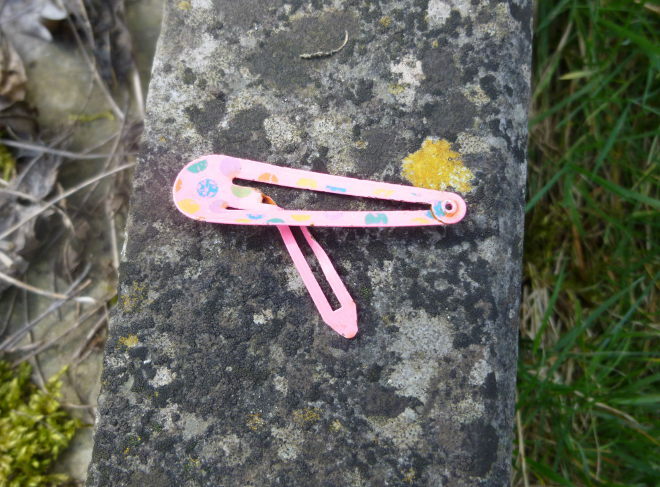 One of the early inspirations for my story Knotted Rope (published on the Seren website) was a small pink hair clip I saw lying beside a grave in Arnos Vale Cemetery. It made me wonder about the child who had lost it, and then wonder what would happen if the child want missing instead of the clip. What ephemera you spotted by the side of a path or road? What directions could it carry you in your writing? This entry was posted in Judy's writing, Writing prompts and tagged creative ideas, inspiration for writers, Knotted Rope, Seren Books, story ideas, writing inspiration by Judy. Bookmark the permalink.